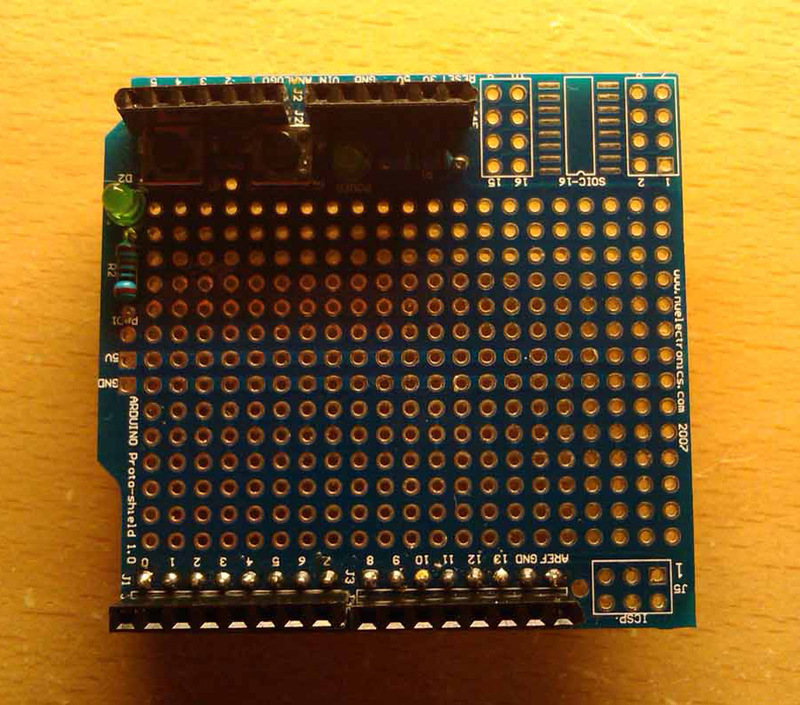 A while ago I bought an Arduino proto-shield in kit form from www.nuelectronics.com, but the problem is that it requires soldering to fix it all together but does allow you to do small temporary circuits. 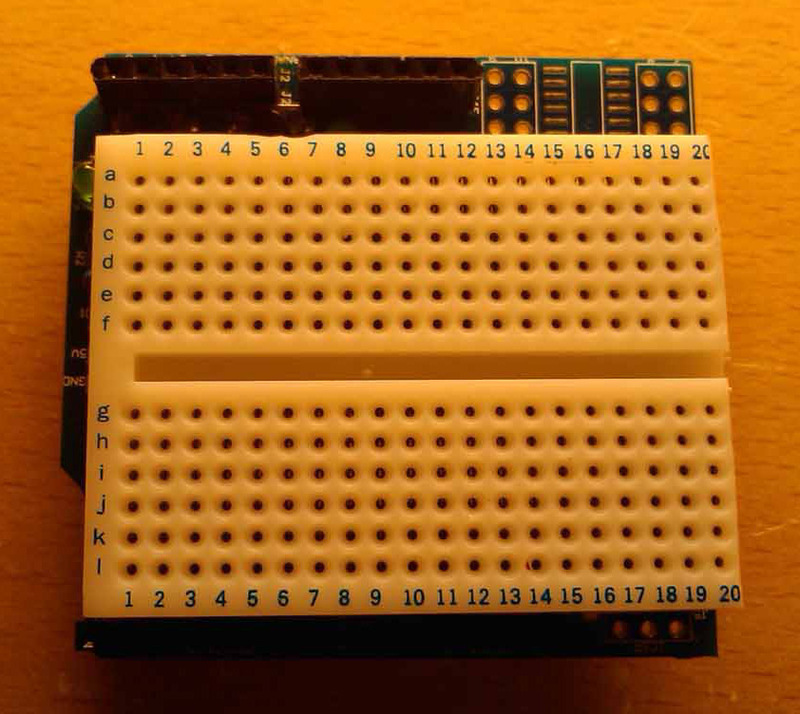 However fitting a small breadboard to the proto-shield makes it more useful. 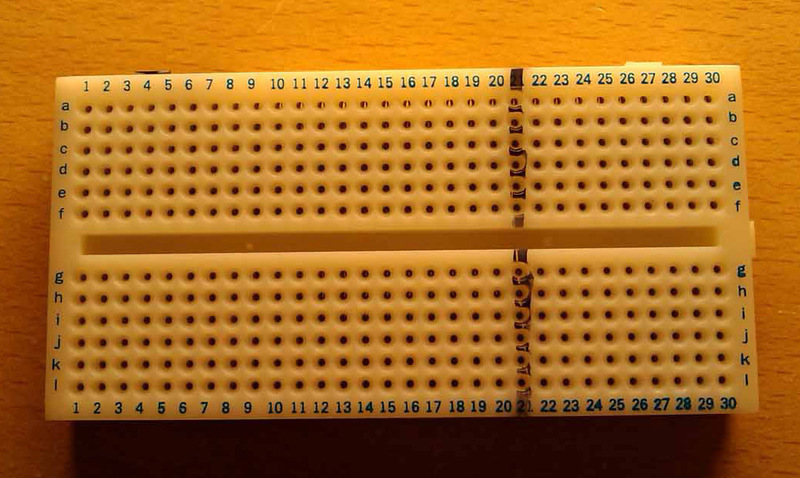 Small breadboards are available but the one I bought was too long by about 10 holes. 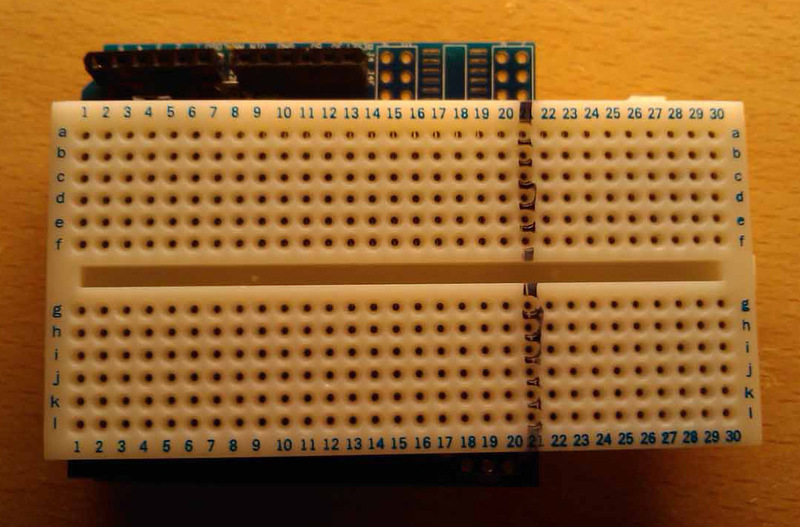 The alternative is to have a breadboard sat next to the Arduino which then can get quite cumbersome, this method makes a small neat solution for small breadboard applications. The breadboard was marked for cutting. Its currently wired up with a 16×1 LCD display.